﻿ How this entrepreneur is creating a creative space for growing start-ups? How this entrepreneur is creating a creative space for growing start-ups? Over the years, beer cafes are not only promoting the drinking culture, but have also come up with creative areas. From just a normal café, these places re providing extra space to working professionals to come and work with their cafes. 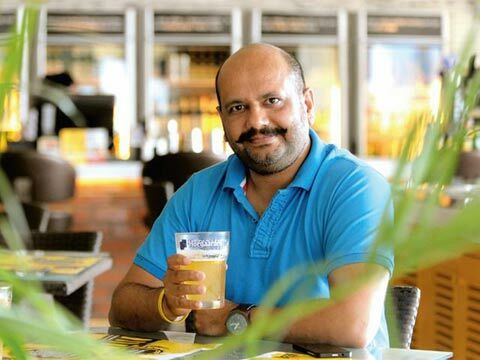 And, The Beer café is not lagging behind when it comes to go in hand with the ongoing trend. How is the business cafe different from a normal cafe? Also, our upcoming outlet in Bangalore will have a separate co-working and conference space called Biggies @ Work. The whole landscape is changing. With commercial rentals hitting the roof, for many creative professionals and startups, cafes become the idyllic meeting and work space where they can build on business plans and unwind with a pint or two. People are also opting in to work from cafes as it saves them precious commute time.The Beer Café aims to reduce these obstacles and provide a supportive system for young professionals and entrepreneurs at economical prices. What are some of the unique services The Beer Cafe providing for entrepreneurs? The Beer Café is offering a day pass at Rs 599 per day that includes a designated space for working, complimentary WiFi (upto 1gb), 2 hot beverages and a voucher of Rs 300/- that can be redeemed on anything in the menu. The guests must inform the outlet and reserve space in advance. Our target audiences are young start ups, businessmen and professionals who find operating from The Beer Café’s nearest outlet easier than renting out their own space or working from a Home-office. What is the revenue generated out of this? We have just started this feature a week back and are still gauging the response. So far, it has been very encouraging however it is too early to comment on the revenues generated.